And now a story from the "things that really shouldn't need to be said" file: No college should require students to take out loans in order to give money to Snooki, the breakout star of MTV's Jersey Shore. And yet that is exactly what Rutgers University in New Jersey has done. According to U.S. News & World Report, 52% of Rutgers grads leave with an average of $19,760 in student loans. 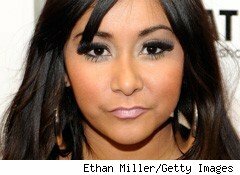 But as the Huffington Post reports, "The Rutgers University Programming Association paid Nicole "Snooki" Polizzi of the reality TV show 'Jersey Shore' $32,000 Thursday to dish on her hairstyle, fist pumps, as well as the GTL – gym, tanning, laundry – lifestyle ... Money for Polizzi's appearance came from the mandatory student activity fee." Now, there's nothing inherently wrong about students wanting to spend borrowed money to hear Snooki speak. Moronic, yes. But not wrong. But for a public university to require all students to borrow money to cover mandatory fees, and then use that fund to pay for Snooki to speak, is wrong. With college costs spiraling out of control and student loan default rates soaring, colleges need to be looking at every possible way of cutting their costs -- starting with those that contribute the least to their fundamental mission of educating students. Not spending $32,000 on Snooki would be a good place to start. Zac Bissonnette'sDebt-Free U: How I Paid For An Outstanding College Education Without Loans, Scholarships, Or Mooching Off My Parentswas called the "best and most troubling book ever about the college admissions process" by The Washington Post.